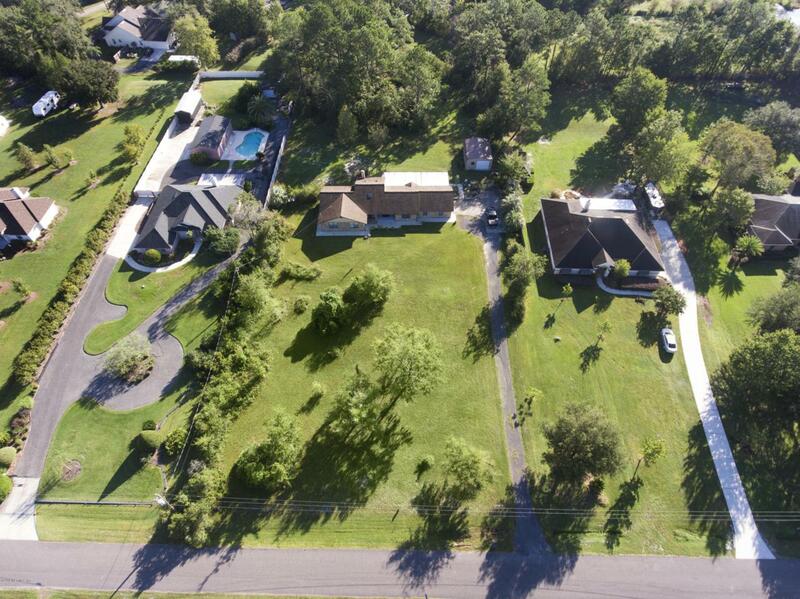 Full Brick home in a country setting with 1.74 acres. Enjoy the spacious layout and large bedrooms. 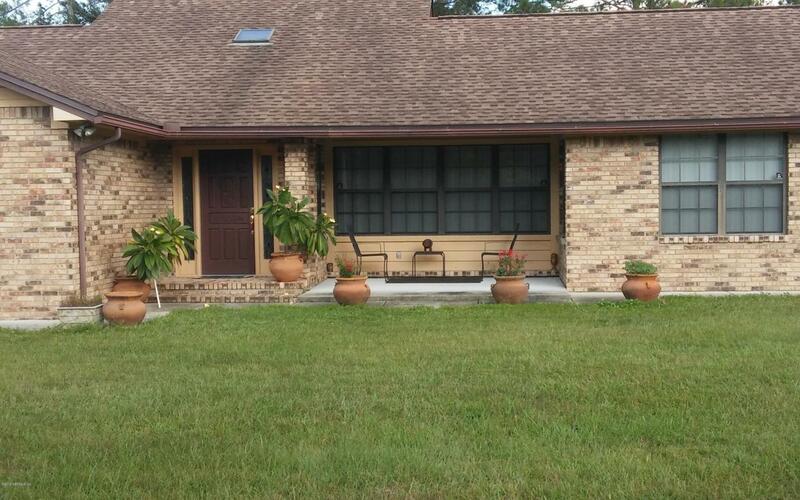 Large screened patio has additional open covered area. Kitchen is updated with granite counters and tile backsplash. 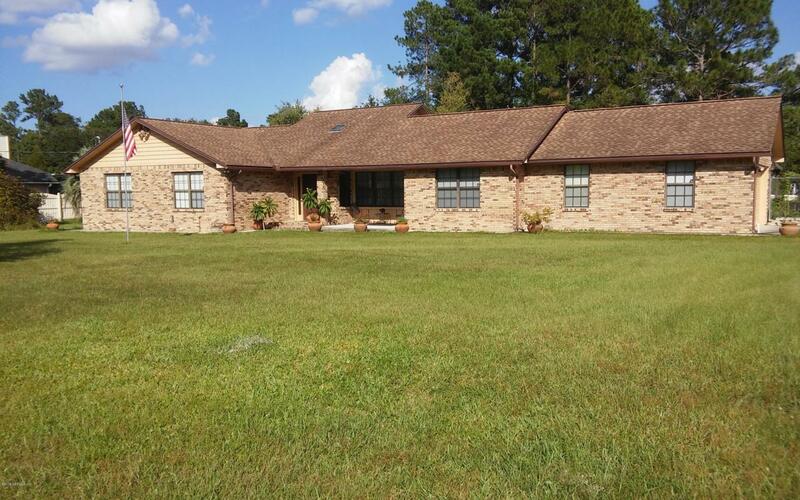 Well maintained tile flooring throughout. Floor to ceiling brick fireplace. The handy person of your family will appreciate the 20x26 workshop that could easily have electric added. There are 2 sheds that could house your chickens. Backyard is fully fenced, has multiple fruit trees and a garden for vegetables. Roof updated in 2008 and AC in 2007. New drainfield 2017, sump tank 18. 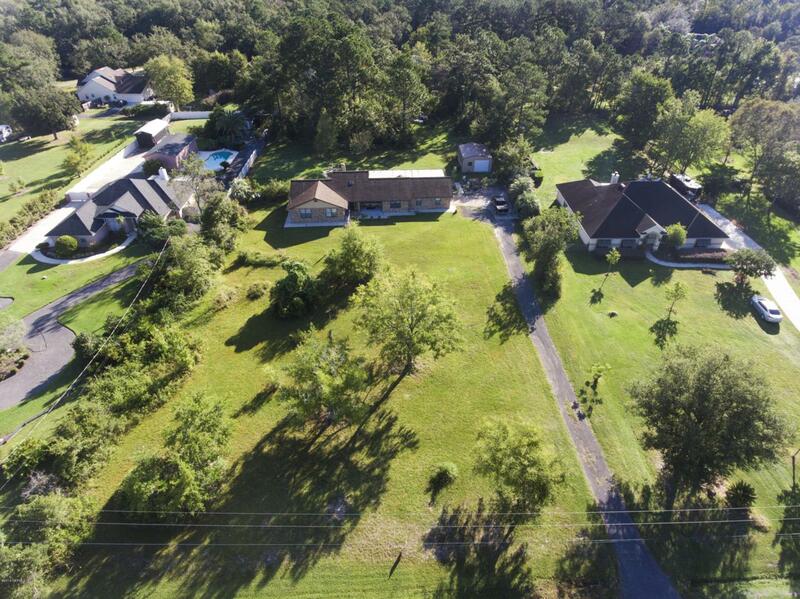 Enjoy the peaceful private paved road that is still convenient to NAS Jacksonville or the Cecil Commerce Center as well as shopping, dining and medical needs.